Jeric’s Kennels is owner operated. 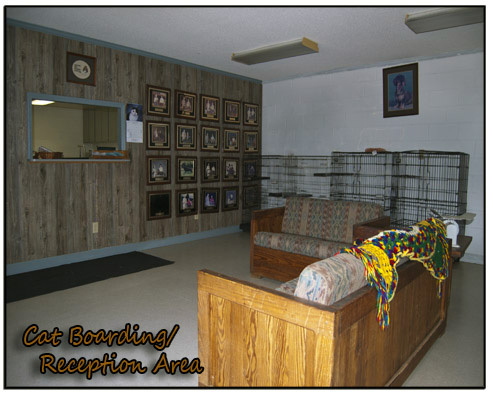 We have been in the pet boarding business since 1989. Our Wirehaired Dachshunds have been bred and shown since 1975. The kennel is located on 14 acres on Rodell Barrow Rd in Wayne County. Our residence is located in the same location. It provides the animals with a quiet country setting. 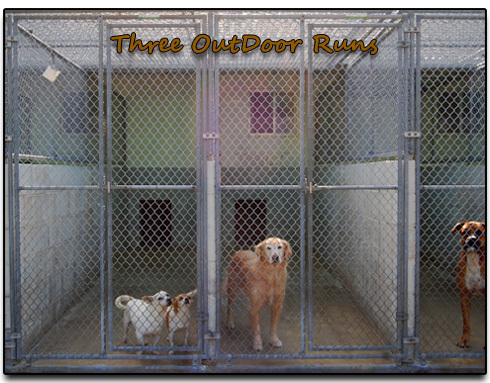 The kennel building houses boarding dogs and our Wirehaired Dachshund show dogs. 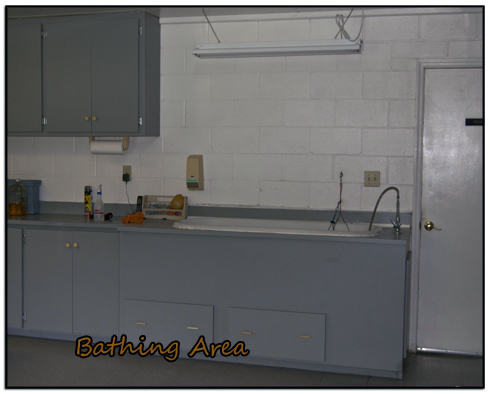 The kitchen has all the comforts of home with a dishwasher, washer, dryer and refrigerator. 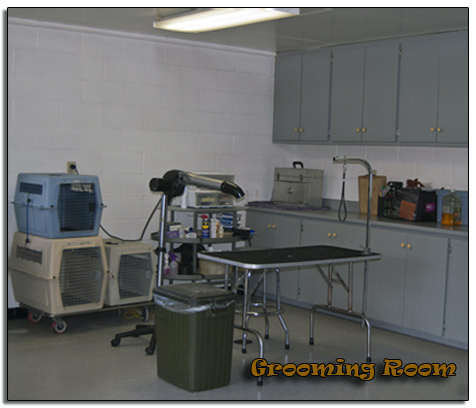 There is a grooming room for bathing of animals. 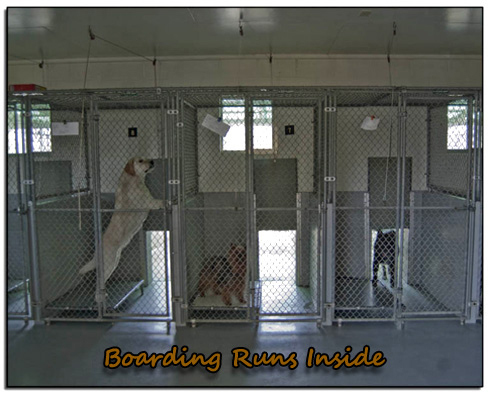 There are 15 indoor/outdoor runs provided especially for our boarding dogs. They are 4 feet X 4 feet on the inside and are 16 feet X 4 feet on the outside. Each dog has itʹs own private run. Eight feet of the outside runs are undercover. A resting pad is provided on the inside for your dog’s comfort. 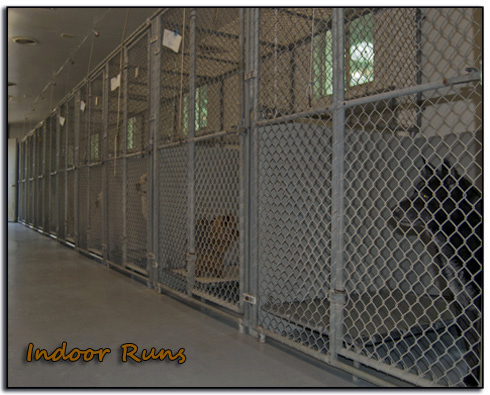 Some small dogs prefer to stay in our condos and be exercised outside in a covered area. They are exercised according to need during the day with the last time out for these dogs from 10 – 11 PM before we retire for the night. We prefer to feed our food unless your animal is on a special diet for health reasons. We feed Iams with a little canned to entice the picky eaters. Any prescription diet or medications must be provided by the owner. You r pet is fed according to your directions as far as number of times per day and amount of food. Medications are given with no additional charge. 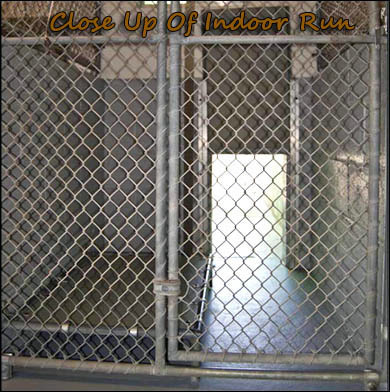 For our cat friends we provide a cat cage that is approximately four feet tall, three feet wide and 2 feet deep. There are two ‐ three shelves so that kitty can survey their domain from on high, if desired. 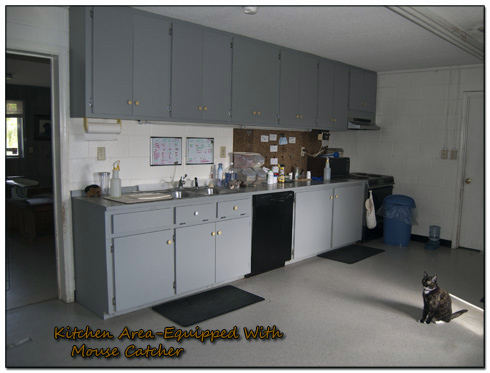 Litter and litter box are provided along with Iams cat foods. 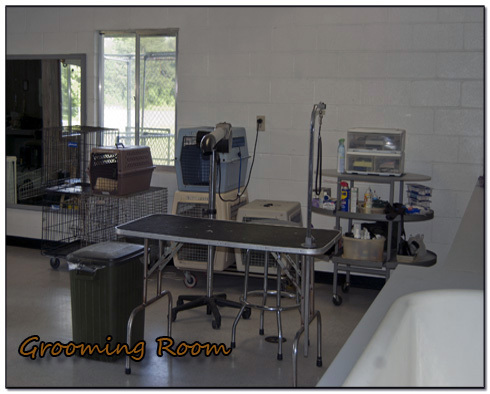 You are encouraged to drop by anytime during our operating hours to get a tour of the kennel. Please call to get directions or just drop by during or normal operating hours.